The Singapore-Industry Scholarship (SgIS) aims to nurture ambitious individuals and channel them into industries identified as key to Singapore’s social and economic progress. It is a product of a partnership between the Singapore Government and 41 enterprises that are forerunners in their industries. Teo Chin is reaping the benefits of the SgIS and is currently pursuing a Bachelor of Chemical and Biomedical Engineering at Nanyang Technological University. She shares that the unique selling point of the SgIS is its varied industry collaborations. “In an increasingly interconnected world, this idea of collaboration among varied industries under the same scholarship was very appealing to me. I wanted to be part of this multi-industry effort to strengthen Singapore’s economy,” she tells us. The SgIS Full-Term and Mid-Term scholarships support a range of 13 industries, from Arts and Culture to Transportations and Logistics, ensuring that individuals with all talents and interests can match themselves to an organisation where they will grow. 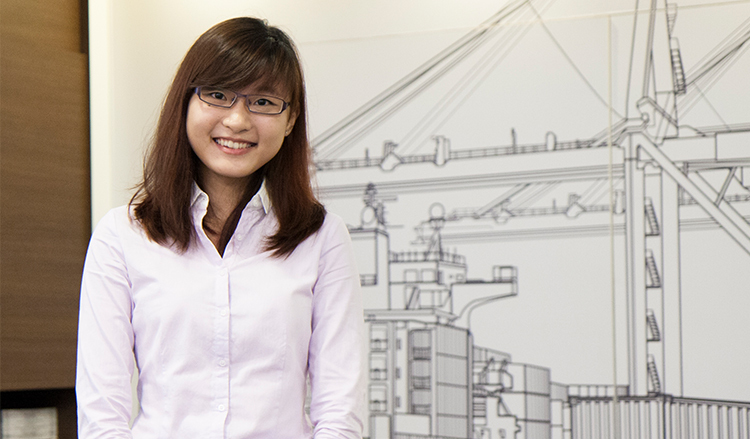 Teo Chin hopes to work in the thriving maritime sector – more specifically with PSA Corporation. Although she is only in the midst of her undergraduate studies, Teo Chin is already benefitting from a comprehensive development programme at PSA. She enthuses, “I already have the road ahead of me mapped out – my future job at PSA will see me lead a team that oversees container port operations. I have already been informed of upcoming internships that will expose me to port operations and allow me to interact with working professionals with diverse backgrounds.